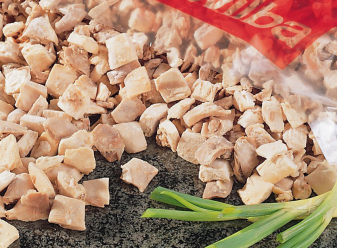 For decades, GETI WILBA has been supplying hen products to European food producers. As Europe's market leader in hen meat, we have our own slaughter and processing facilities. We guarantee that all product stages are monitored, from farm to slaughter to the end product. Along with product quality, our customers esteem our reliability and flexibility above all. We work together with them to develop products customised to meet their own specific demands. 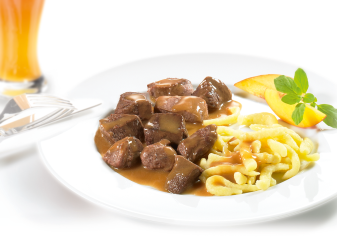 This results in long-term partnerships with major brand producers, which means that many tinned foods, frozen meals, delicatessen and baby food products contain elements produced by GETI WILBA. The food industry is becoming ever more interested in game products. Here too, we work with our customers to create tailor-made solutions.